It’s riddled with typos and has the most outdated bio, but this time, this time they spelled my name correctly. And now I shamelessly ask for help in promotion. Are the the kind of person who knows what to do with one of these things? Can you help with buzz/reviews/blurbs? Shoot me an email with your information and I’ll get a galley sent to you pronto. 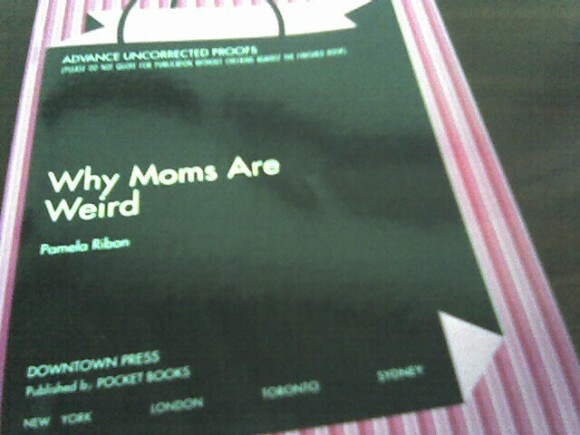 Why Moms Are Weird will be available in stores in August of this year.